English: Ribbon bar: Médaille commémorative des Opérations des Nations Unies en Corée. France. Русский: Французская памятная медаль Операций ООН в Корее, планка. Early in 1815, there was a powerful popular movement in favour of national unification throughout the Italian peninsula. This idea, championed by the King of Sardinia Victor Emmanuel II, was opposed by Pope Pius IX and the Austrian Empire who occupied the provinces of Lombardy and Veneto. 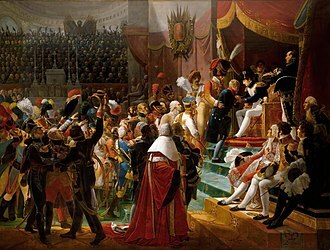 In Europe, Italian unification was only supported by Emperor Napoleon III of France who, on 28 January 1859, based on the clauses of the Treaty of Turin, decided to bring aid and support from France. Piedmont being invaded by 100,000 Austrian soldiers on April 26,1859, then, on June 24, the Franco-Piedmontese forces took the village of Solferino after a terrible battle culminating in an armistice signed at Villafranca on July 12. 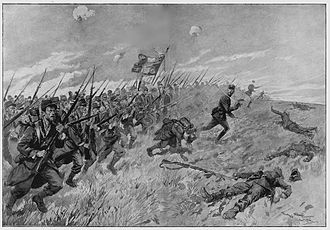 During the three month campaign, French losses amounted to 8,000 dead and 40,000 wounded, to reward all participants and ensure the memory of this glorious military campaign, the Commemorative Medal of the Italian Campaign was created by Imperial Decree on August 11,1859. Nearly 120,000 medals were awarded to all soldiers and sailors who participated in the Italian campaign of 1859. The Morocco commemorative medal was a French military campaign medal. It was established by the law of 22 July 1909 for award to soldiers participating in the Second Franco-Moroccan War under the command of general Hubert Lyautey, long time French colonial interests in North Africa led to tensions between European nations but particularly disturbed Germany. Early in the new century, France pushed established international agreements to their limits bringing tensions to a point in the Agadir Crisis. These military operations went on until 30 March 1912, the date on which the Treaty of Fez was signed making of Morocco a French Protectorate, article 2 of the law of 22 July 1909 further stated that clasps would be worn on the ribbon. The Morocco commemorative medal was a 30mm in diameter circular silver medal, the obverse bore the relief image of the effigy of the warrior republic in the form of the left profile of a helmeted womans bust, the helmet being adorned by a crown of oak leaves. On either side, the inscription along the circumference RÉPUBLIQUE FRANÇAISE. The Medal of French Gratitude was a French honour medal created on 13 July 1917 and solely awarded to civilians. The creation of this distinction was mainly the result of unsuccessful offensives of General Nivelle in 1917, the French government thus wanted to thank those who, despite the crisis, were always volunteering. It has three classes, bronze and gold, nearly 15,000 people and communities were recipients of this award. The medal is no longer awarded, the last award was on 14 February 1959, the inhabitants of occupied areas or Alsace and Lorraine who helped these people. The first model was a 30 mm in diameter circular bronze, silver or gilded medal depending on the level of the award, the obverse bore charity personified by France supporting a wounded soldier. On the reverse at centre, the circular inscription RECONNAISSANCE FRANCAISE along the circumference with at centre. The second model is a 32 mm in diameter circular bronze, silver or gilded medal depending on the level of the award, the obverse bears a woman wearing a Phrygian cap representing France offering a palm. It was established by decree 95-1098 on 9 October 1995 on the initiative of the Defence Minister, François Léotard. Civilian personnel eligible are those placed at the disposal of the authority or actively taking part in the mission in view of their function or specific job. In this case, the responsible for them proposes bestowal of the award to the Defence Minister for final approval. 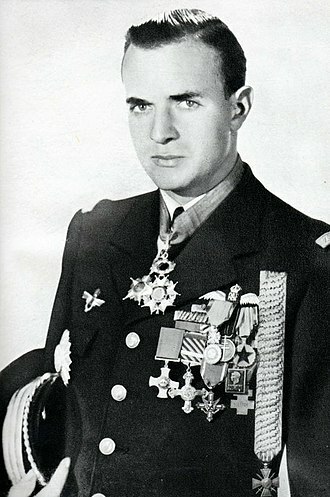 The medal may be awarded to military and civilians having served under French command. Any mission eligible for award of the Overseas Medal cannot be eligible for this award, the medal is always worn with at least one clasp. Each operational mission clasp can only be earned once, the French commemorative medal is a 30mm in diameter circular gilded medal struck from bronze. The obverse bears the effigy of the three quarters facing and wearing a Phrygian cap surrounded by the relief inscription along the medal circumference RÉPUBLIQUE FRANÇAISE. The medal hangs from a ribbon through a passing through the medals ball shaped suspension loop. It was created by imperial decree on 23 January 1861, by Napoleon III. The French Empire, the United States, and the Russian Empire received requests from Britain to form an alliance, france joined the British action against China, prompted by the execution of a French missionary, Father August Chapdelaine, by Chinese local authorities in Guangxi province. The conflict concluded with the 1858 Treaty of Tianjin finally ratified by the brother, Yixin. All recipients received a certificate of award, the Commemorative medal of the 1860 China Expedition was a 30 mm in diameter circular silver medal designed and engraved by Albert Désiré Barre. Its obverse bore the left profile of Emperor Napoleon III crowned with a wreath surrounded by the relief inscription NAPOLEON III EMPEREUR. A4 mm wide relief laurel wreath ran along the circumference of both the obverse and reverse of the medal. On the reverse, within the wreath, the circular relief inscription EXPÉDITION DE CHINE1860. At the centre, the inscription on four lines of the campaigns major battles TA-KOU, CHANG-KIA-WAN, PA-LI-KIAO. 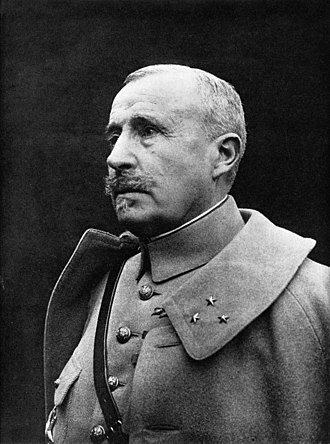 For its part, France decided to send a 10,000 man strong expeditionary force under the command of Admiral Pierre Barjot and General André Beaufre. The French forces had suffered fifteen dead, the medal is not issued with a certificate and the right to wear it is justified by the possession of a military document confirming participation in the operations. No one can claim the right to wear this medal if condemned to a term or severe punishment for reprehensible actions carried out during the operation. Applications for the award are made at the office of the French Ministry of Defence, the Middle East operations commemorative medal is a 30mm in diameter circular medal struck from bronze, it may be gilt. The obverse bears the image of the warrior republic in the form of the left profile of a helmeted womans bust. On either side, the inscription along the circumference RÉPUBLIQUE FRANÇAISE. On the reverse, the inscription on five lines MÉDAILLE COMMÉMORATIVE DES OPÉRATIONS DU MOYEN-ORIENT1956. Certificate of award for the "Médaille Commémorative de la Grande Guerre" to a corporal in the Algerian Tirailleurs. 1939–1945 Commemorative war medal with clasps "LIBERATION", "FRANCE" and "AFRIQUE"